It’s our business to help your business grow. City Personnel has built a solid reputation on our ability to provide you with a tailored recruitment experience. We believe that a human approach is the only approach, because your staffing needs amount to so much more than just a resume. Do you have a team member going on leave, or a busy season when you could use extra support? Temporary employees are the perfect solution to maintaining workplace productivity that can withstand the dynamic nature of your firm. We have a large pool of talented job candidates who love the flexibility of temporary assignments whose resumes are awaiting your invitation! Maybe you have a job opening to fill, but want to test-drive a new hire before committing to hiring them permanently. Our Temp-to-Perm option is a great way to assess an employee before officially bringing them on board. At City Personnel we have a steady stream of enthusiastic job applicants who are waiting for the opportunity to prove how they can bring value to your team. Many of our clients need high level, full time employees right away. Throughout our placement process, you will have access to our thoroughly vetted job candidates. We offer 100% refund on candidates who don’t meet your expectations within their first 100 days of work. effective communication the moment you need us. Our recruiters are 100% committed to working on your staffing needs whenever they arise. All of our applicants represent City Personnel, so we put them through an intensive vetting process before they are considered for any positions. They are screened by phone, interviewed in person in our office, and undergo reference and background checks to verify their credentials. 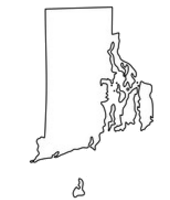 As a local recruiter, we have an inherent understanding of the Rhode Island and Southern Massachusetts job market. Our team takes the time to truly understand your needs so that we can save you time, money, and effort.